Getting rid of old junk can be exceptionally expensive. Most people or businesses have had to throw away large items at one time or another and know that the costs involved can be astronomical. Big household items and commercial items can carry high fees for disposal. Knowing the costs involved puts a lot of people off contacting local services for waste disposal, as they assume that the costs involved will be high and the out of pocket expense too large to justify the potential time and effort saved in getting rid of waste themselves. Some will turn to businesses that provide skip bins, as they assume they are saving on the cost of labour. The truth is that they DIY approach can actually be significantly more expensive, not to mention far more time consuming. When it comes to getting rid of old stuff, the aid of rubbish removal services can actually be a much better option than pricier choice. If you’re interested in the reasons why, read on below. Firstly, one of the key ways that rubbish removal can actually be the best option is when it comes to getting rid of old furniture or anything that’s in saleable condition. Most providers will charge a fee to remove the items and any many waste management facilities will have a cost associated with processing them but if you sell or donate your items you can avoid these costs. Many charities are happy to pick up quality items for free, often saving you a lot of money in removalist costs, or if you sell your items at a garage sale or online you can actually make some money which can help to contribute to the cost of disposing of other items. A lot of people assume that doing the work themselves will save money, however this is rarely the case. The reality is that by the time people are done with the cost of transport, disposal, equipment for removal and their time they’ve usually spent quite a bit of money. Skip bins also aren’t always the great cost saver people would expect. They’re usually charged by weight and sometimes require permits to place o public land. This can be a pricey option and still requires you to do the work yourself. Local providers can offer services where they attend the site, clean up and take away any waste and tidy the area for a small sum of money. 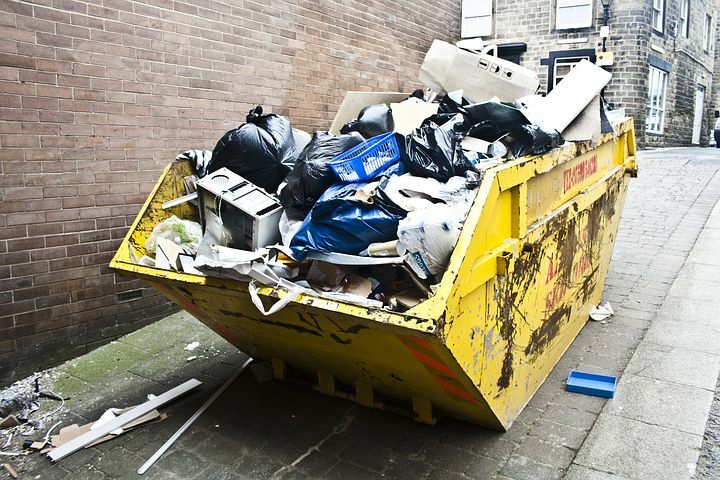 Scales of economy mean that these companies can keep their costs low and offer rubbish removal. Local providers often have arrangements with waste facilities and their own sorting yards to manage waste. Many of them also keep costs low by having robust reuse and recycling plans in place. Rubbish removal companies often have many packages on offer to suit any budget and are a surprisingly affordable option to consider. A lot of the standard service inclusions for rubbish removal providers might have been things you could have expected to pay for anyway, such a clean up of the area once the waste has been taken away. The great service on offer can save you significant sums of money. When looking into waste disposal options, sometimes less is actually more and rubbish removal is actually the better option. These services are surprisingly affordable and the extra expense of doing it yourself is not actually worth it, you’re much better off having professionals come in and do it for you.